At StarCreek, you can enjoy the best of all possible worlds. A prestigious masterplanned community, a host of exclusive private amenities set among a spacious wooded setting - and every conceivable convenience nearby. Combine that with award-winning builders and one of the finest school districts in Texas and we know you'll agree that StarCreek is the shining star of Collin County! One of the features that sets StarCreek apart is the extensive hike and bike trail system that runs through the center of the development, creating a natural haven from the hustle and bustle of city living. Residents also enjoy a private recreation center with resort-style pool and cabana, children's water spray park, outdoor fire pit and barbecue areas, community room for resident functions, a tennis/basketball court and playground. Plus a great group of neighbors who can't wait to meet you! Recognized as one of the top school districts in Texas, the Allen Independent School serves over 17,000 students on twenty campuses - ten rated as exemplary by the Texas Education Agency this past year and seven more earned recognized ratings. The high school campus features an on-site Collin County Community College campus. For additional information, visit Allen Schools. 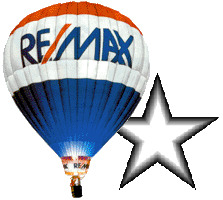 © 2001-2013 Reliance Network and RE/MAX of Texas. All rights reserved. US Reg. Copyright TX-5-910-991, TX-5-910-992, TX-5-910-993, and TX-5-910-994.